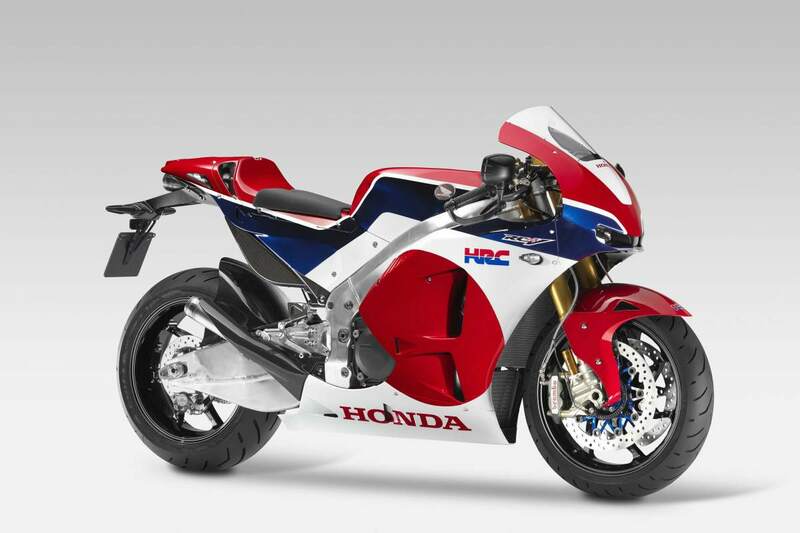 HONDA'S RCV MotoGP-inspired road bike could be unveiled in production form in just over a fortnight. Honda has scheduled June 11 for the world launch of its RC213V-S, claims French magazine Moto Station. The production RCV will be the closest thing to riding Marc Marquez's MotoGP factory Honda on the road, so little wonder it's one of the most highly-anticipated bikes of 2015. Visordown has a skeptical attitude to the internet rumour mill but on this occasion we're hearing similar reports from our own sources, who say the production machine will be revealed at the Catalunya MotoGP round in Barcelona. Both the RC213V-S and the Adventure concept were unveiled at the EICMA show in November 2014 and two weeks ago Honda released these shots of the new Africa Twin. It makes sense to unveil its second EICMA concept closely behind. What's more, when the RCV was unveiled in Milan last year it was listed as part of Honda's 2015 line up and we're nearly half way through the year without so much as a peep. A Japanese newspaper reported the V4 sports bike will share many of the components of Marc Marquez's championship winning RC213V - which helps explains its reported price tag of 20 million yen (£112,000). Asahi Shimbun, Japan’s second largest daily newspaper, says production is scheduled to take place at Honda's factory in Ozu, Japan in time to go on sale this year. The one thing Honda could not have expected at the start of the year was the downturn in the RCV's racing fortunes. By his own high standards, Marc Marquez sits in a disappointing 4th place in the standings, 30 points behind Valentino Rossi. Honda's second factory rider, Dani Pedrosa is languishing in 15th having struggled all season with a persistent arm-pump problem. Perhaps a grand unveiling just ahead of the important Catalunya GP could deflect some of the attention away from Honda's resurgent rivals at Yamaha. Yamaha MT-25 coming on June 6?